Here is a list of errors that we are aware of. 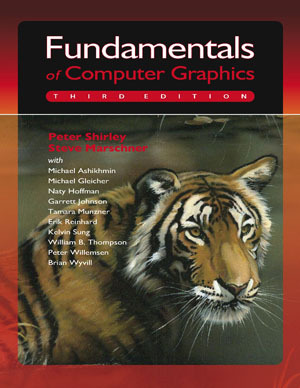 The slides from Steve Marschner's course at Cornell, Introduction to Computer Graphics, follow the book fairly closely up through chapter 9. You can see them on the course web page. If you are teaching a graphics class and would like to use the slides, please contact Steve directly. Most of the diagrams in the book were drawn using Abobe Illustrator. We will convert these to requested formats upon request.